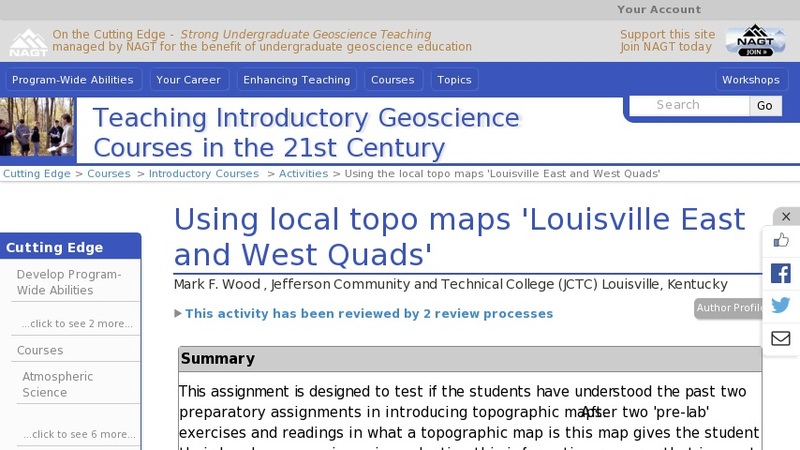 To prepare for this lab assignment the students read an article on topographic maps and their purpose. They have two assignments that test their understanding of this largely new material. I hold a discussion on maps and topography and the students work through some small contouring exercises.